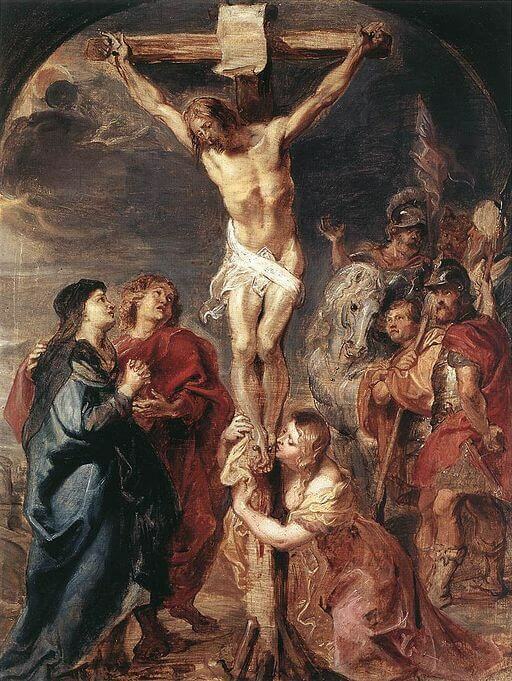 John Milton, in his attempt to create an epic presentation of practically the whole act of creation and transgression of Man, amalgamates Christian faith with tremendous aesthetic competency. Following the elementary classical conventions, he does frame his work within an apparent structural boundary, but eventually surpasses it by his imaginative faculty. In the Invocation itself, he achieves this effect by the dual device of meter and language. At the very beginning he states the subject matter of his epic, which might appear to be a direct one- “Of Man’s first disobedience”. However, to ignore the technique of inversion that Milton employs would lead the readers mistake the real significance of the words. Placing the object of the sentence at the beginning at once puts the emphasis on man and not on Satan. Then follows the reference to the act of transgression, of the tasting of forbidden fruit. This eventually suggests Milton’s preoccupation with the problem of “choice” as connected philosophically and morally with the problem of “disobedience”. However, instead of concentrating on this one single metaphysical question, he invokes the aid of his muse to assist him in expanding his poetic vision over the whole act of creation. The theme, after all, has to be announced in all its magnitude for the readers to recognize that no ordinary muse can be sufficient in the endeavor. 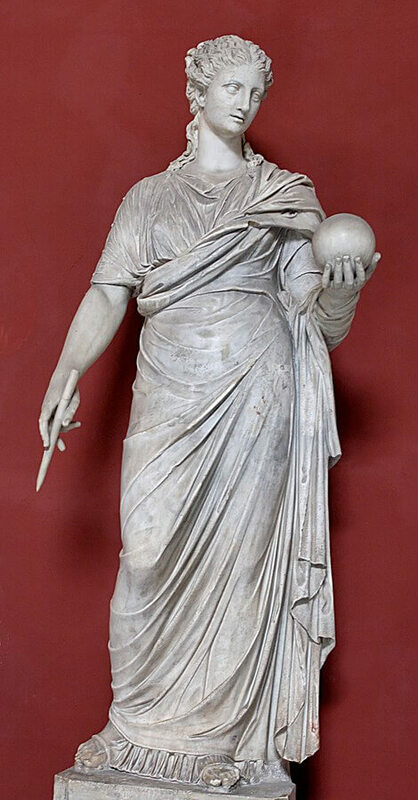 The “Muse” or in other words, inspirational deity, was a popular classical device, which apparently Milton seems to follow. However, he departs from the classical conventions steadily in presenting the nature and power of his inspirational deity. His muse, Urania, unlike the other classical muses, does not reside on Olympus, but far “above”, being not a human but heavenly entity. Such a deviation is necessary since Milton’s subject is of a higher order than those of classical epics(dealing with human heroes and their worldly predicaments.). Curiously enough, the ostensible philosophical purpose of the poem (to justify the ways of God to Man) is not emphasized primarily. The real function of these twenty-six lines is to give the sensation that some great thing is about to begin. Primarily, there is the quality of weight, an effect that is achieved by the long heavy monosyllables which end the lines. Secondly, there is a direct suggestion of a deep spiritual preparation at two points- “O spirit who dost prefer” and “What in me is dark”. However, such a suggestion of grand beginning is reinforced further by allusion to the creation of the world itself ( “Dove-like sat’st brooding), and then by images of rising and lifting (“soar…raise and support”) and then finally, interlinking the microcosmic self of the poet to the macro-cosmic creation of the world leading to the reference of the Saviour (“one greater Man”). The entire cluster of images expand the field of perception by bringing into the artistic field, the entire span of human (and even prehuman) existence. As C.S.Lewis observes, “ He throws ideas together because of those emotional relations which they have in the very recesses of our consciousness.” He further asserts that this silences the reader’s logical faculty and they accept every statement without question. On the other hand, Milton follows the classical models not only in form and conventions. He uses a grammatical structure which is typically Latinate. The first sentence, for instance, goes on for about six lines before the verb comes-“sing”. Milton consciously keeps the climactic note rising and the flow of the passage is sustained with perfect control of syntax. The beginning is simple but suggestive of amplitude; the sense is then developed, extended,qualified and reconsidered variously, by the subordination of clauses and a skillful use of conjunctions, prepositions and relative pronouns (‘and’, ‘whose’, ‘with’, ‘till’). Normal English word order is reversed so that the object of the opening sentence- the theme itself-gets a significant place right at the beginning. Thus, when the first verb comes eventually, it rings with tremendous emphasis. The technique reinforces the sense of vast design and sets up a feeling of expectation in the reader. Furthermore, the sense is carried on further with the use of a relative pronoun (“who first taught”) and ultimately refers to even a part of “Paradise Regained”, through the Christian theme of redemption- “Till one greater Man/ Restore us”. The climax is of course a simple almost monosyllabic Anglo-Saxon in syntax and construction. However this only adds to the grandeur of the statement since, for a puritan like Milton, artificiality and apparent beautification could only be the mark of Satan and hence when he mentions God, he does so with stark austerity. 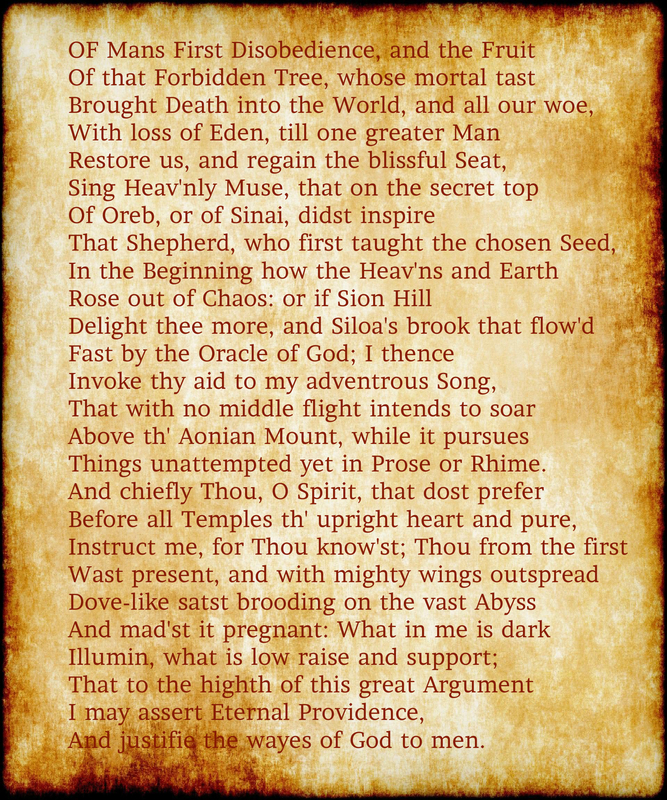 The invocation both structurally as well as thematically puts forth this message and eventually marks an appropriate beginning for the momentous work that Milton proposes to do. Thanks a lot ma'am! Really helpful.